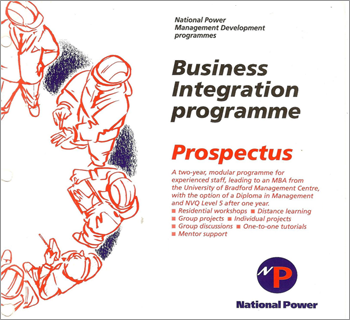 An action learning programme conducted over 2 years was delivered in National Power the UK's largest generator of electricity and led to a Cambridge University (UCLES) accredited Diploma in Electricity Supply Management (see box) and an MBA from Bradford University School of Management. 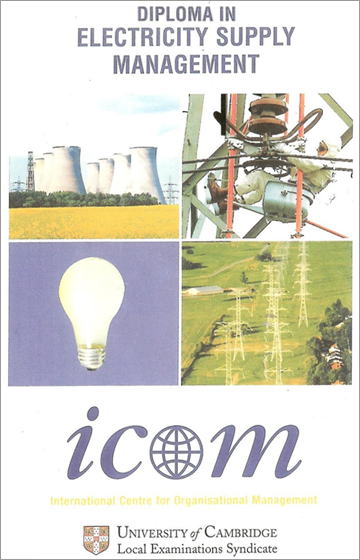 This was customised to the electricity industry and workshops delivered by specialists in each of the areas from the industry, universities and National Power. Business Strategy and the Learning Process. Management of People, Quality and Customers. I.T. and the Management of Change. 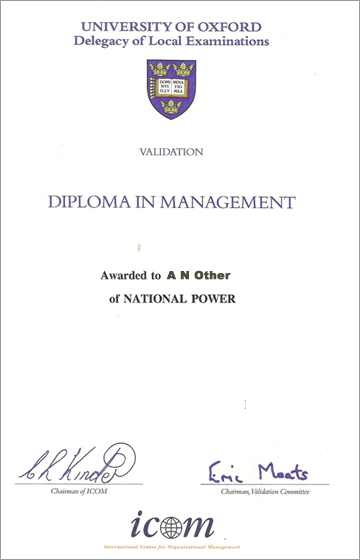 Given the fact that this programme lasted for 2 years and it led to an MBA the individual and group projects resulted in major pieces of work which were subject to the normal rigours of assessment and vivas associated with MBA qualifications. 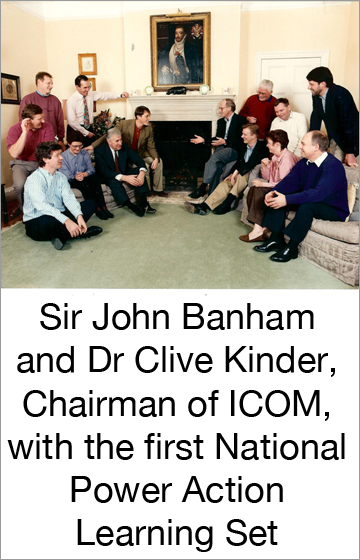 All the participants achieved the masters degree. The company were delighted with the programme and commissioned a second programme and again all the participants achieved the MBA.